Artificial intelligence joins the kitchen world and makes it possible to have intelligent interaction with furniture and appliances. We’re talking about HI PEDINI, a Pedini, Microsoft and IoMote project. From now on, it is possible to talk to your kitchen and have a 4.0 experience that unites a great brand’s design, Microsoft’s intelligent technology and IoMote’s innovative spirit. Thanks to the collaboration among these three players, the kitchen of the future is already a tangible reality, and it’s on display at the Microsoft Technology Center (Technology House) in Milan. Hi Pedini is the name of the app, the technology and the voice command options resulting from Pedini, Microsoft and IoMote’s teamwork based on Open Innovation and synergy, something that led to the creation of refined, technologically advanced furnishings that meet the needs of today’s lifestyles. 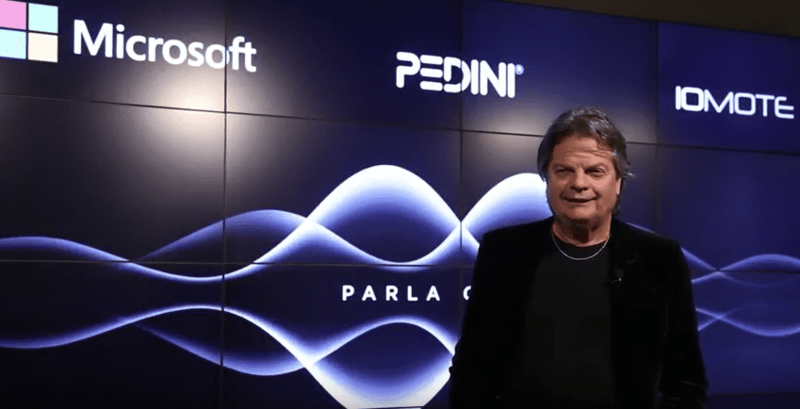 Hi Pedini means fast, intelligent interaction, since it is capable of comprehending voice inputs and responding appropriately: such is the scope of our 4.0 project. Thanks to Cloud Computing’s platform and to the voice-recognition services based on Microsoft’s Artificial Intelligence (especially LUIS: Language Understanding Intelligent Service), and also thanks to a highly evolved app and to sensors fitted inside cabinet doors and to “physical” vocal assistants, it is possible to talk to the kitchen, keep track of water and gas consumption via smartphone, monitor the air quality and receive alerts in case there are gas or water leaks. And much more: you can organize and manage the shopping list, get inspiration for new recipes, open and close cabinet doors vocally, wake up to fresh coffee (because you can, among other things, program household appliances). Hi Pedini is also capable of adapting the atmosphere to your family’s needs: with a simple voice command, for example, Hi Pedini will change the kitchen’s colours and shades so as to make them more suitable to the preparation of your baby’s evening meal (by activating soft lighting and the “baby mood” option), or it can activate the movement sensors fitted onto the “critical doors” that let mom and dad know that someone is opening cabinets containing detergents or cutting objects. 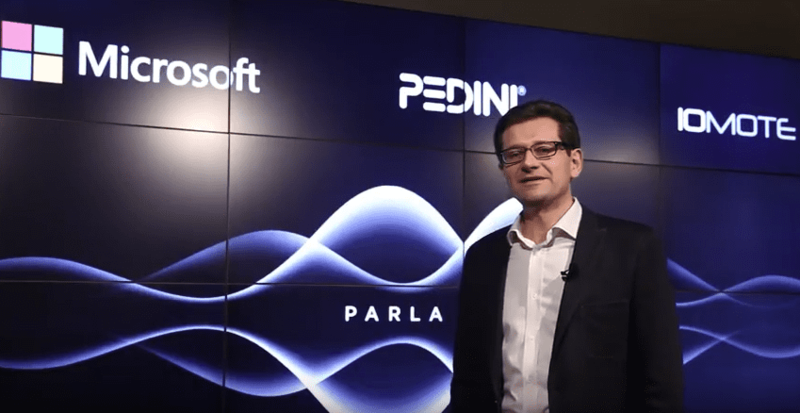 “Hi Pedini” is capable of fast, intelligent interaction and it can understand voice inputs and respond in a pertinent, suitable way: such is the scope of Pedini’s 4.0 project. “Hi Pedini” is the name of the app, the technology and the voice command options resulting from Pedini, Microsoft and IoMote’s teamwork based on Open Innovation and synergy, something that led to the creation of refined, technologically advanced furnishings that meet the needs of today’s lifestyles.